‘Who is Leah Betts?’ The question, from a recently qualified social worker on an NPS course, brought home to me some important issues. Leah died in 1995, aged 18, after using MDMA and drinking a large quantity of water. Campaigns by her family, the media and advertising agencies saw her posthumously become the ‘poster girl’ for the dangers of MDMA. That was 1995, and my newly-qualified social worker was a baby when this happened. She and a whole cohort of children and young adults have not grown up in the shadow of Leah’s death. They didn’t read about it in the papers, see the video at school or learn about it from earnest drug educators. This matters now more than ever. This MDMA-naïve generation are going out at a time when MDMA pills have never been as strong, cheap, or widely available. Alongside the pills containing dangerous adulterants, powder and crystal MDMA may also be adulterated or misidentified. Alongside the Leah question, I hear another: ‘Frank – is that still going?’ The days when the drugs helpline enjoyed TV adverts and a budget allowing for innovative cross-platform promotion are long gone. It became a casualty of cuts along with the club outreach that helped reduce the risks to a generation of young people. So with exams coming to an end and the festival season underway, it is imperative that those MDMA harm reduction messages are dusted off, refreshed and communicated to the new generation of users. As ever, drug terms and slang vary from place to place and over time. 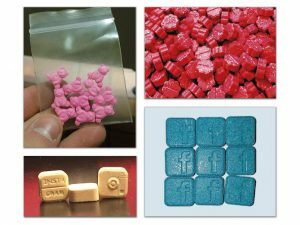 The drug MDMA is variously known as Mandy, Molly, ecstasy, E and XTC and some young people may not be aware of its ‘proper’ name. Terms may link to form (‘ecstasy’ had referred primarily to pills, MDMA to powder and crystals) but this isn’t always the case. Pill strength has increased significantly over the past couple of years and has become a key concern. There is no routine, consistent monitoring of available pill strengths in the UK, so comparisons are partly estimates. Back in the late ’80s and early ’90s, MDMA pills contained around 80mg per pill and would retail for £5-10. Looking at the range of pills currently available on dark web sites such as Dream Market, there are a few at the 160mg mark but most claim strength of between 220mg and 250mg, so average pill strength has probably trebled. New production methods and the massive marketplace that is the dark web have seen manufacturers competing on strength and price, so low cost is no longer indicative of a low-dosed pill. For older users accustomed to swallowing two or three pills at a time, or for younger users with no tolerance, these high dose pills can cause fatal overdoses. Just as pills can vary significantly in terms of dose and composition, the same is true for products sold as powder or crystal MDMA. Alternative substances or adulterants may be present and whereas one can check online for pill warnings, powders and crystals are harder to identify visually. Looking at submissions to the Welsh testing site WEDINOS, samples bought as powder or crystal MDMA contained a range of compounds including previously legal NPS such as methylone, mephedrone and a-PVP, alongside cocaine, caffeine, speed and a host of other compounds. There is no easy way for end users to assess pill strength, or the content of powders and crystals. The claimed strength of dark web retailers cannot be relied on, and as fast as ‘genuine’ pills are sold online, fake ones are likely to appear on the streets. Other options for information include Erowid’s Ecstasy Data (www.ecstasydata.org) the user-run Pill Report (pillreports.net) and WEDINOS, (www.wedinos.org) from Public Health Wales. Each carries useful information on components or user experience, but little on pill strengths. Thanks to the efforts of The Loop (wearetheloop.org), club and festival pill testing has increased, and at a small but growing number of events it is now possible to have drugs tested and results passed back to users and health professionals in a short timeframe. The emergence of online and festival-based resources are welcomed. They are, however, most accessible to tech-savvy club and festival-goers who are interested in harm reduction and aware that they are taking MDMA. Young people taking pills and attending house parties are at very high risk and fall outside these information channels. 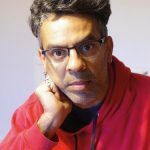 Pills are cheap, well-pressed, colourful and increasingly attractive with designs such as Instagram, Snapchat or teddy bears that inevitably resonate with youn ger people. At £2-3 a pill (strong enough to share) it’s cheaper than cider or a bag of weed, and teenagers may not associate this Molly, Mandy, E – or whatever the pill is called – with MDMA and the risks that it entails. Incidents of young teenagers taking MDMA pills in atypical settings demonstrate why websites and festival testing need to be backed up by high quality education and awareness-raising. Young people at house parties, with no access to the festival or club welfare services, need to be equipped with the knowledge and skills to respond to MDMA-related incidents for themselves. For young people contemplating use, key messages include general risks around strong stimulants and hallucinogens, especially in unfamiliar settings, and should include information about potency, overdose prevention and managing emergencies. Crush – dab – wait has become a key message about starting with low doses of MDMA. Developed by the Loop, it is a field-appropriate method of taking a smaller drug dose on a moistened finger and waiting for one to two hours before taking further doses. In practice it can be hard to crush dense tablets in festival settings and if the drug in question is highly potent (such as a SCRA or a fentanyl) even dabbing could be a risk. Starting with low tablet doses – quarter to half a tablet – will reduce risk, although a quarter of a tablet for a young user is still a potentially dangerous dose when tablet strengths are possibly 220mg+. In groups, one person taking a very low ‘tester’ dose can help reduce risk to the rest of the group. Anxiety and panic are common especially for new users, so it is helpful to have more experienced, sober friends who can reassure and calm the person. As ever, set and setting matter, so using when feeling well in a familiar, safe environment is protective. Serotonin syndrome, caused by excessively high levels of serotonin, could be caused by high doses of MDMA. Risk increases where other serotonin-elevating drugs are used, including some antidepressants, tramadol, some antihistamines and many other compounds. Indicators of serotonin syndrome include agitation, delusions, fast heart rate, elevated body temperature, muscle twitching, seizures and convulsions, and it can be fatal. Where serotonin syndrome is suspected, an ambulance should always be called. Convulsions: safe management of people convulsing means always calling an ambulance, allowing the person to convulse unrestrained, removing things in the vicinity that could cause injury where possible, and protecting but not restraining the head. Nothing should be placed in the mouth as it increases risk of choking. Overheating caused by elevated serotonin levels is highly dangerous. Chilling out from dancing and staying hydrated can help reduce the risk. If a person feels excessively hot, complains of feeling too hot, is panicked, complains of headaches, has excessive sweating, or conversely stops sweating, these could be indicators of overheating. Reduce body temperature by spraying their unclothed torso with tepid water, under moving air, but always seek medical help as overheating can lead to blood clotting and organ failure. Don’t try to give the person cold drinks or immerse them in cold water. Hydration and over-hydrating: Excess water consumption, combined with MDMA’s anti-diuretic properties, can cause water retention and in extreme cases can cause electrolyte imbalance and swelling of the brain. This can be life threatening. Advice remains to drink around a pint of water or an isotonic drink, sipped over the course of an hour, which helps maintain hydration but minimises risks of hyponatraemia. Self-care: MDMA use can lead to significant depletion of serotonin after use and can cause quite serious low mood and depression. Stress the importance of taking long breaks after use, eating well and avoiding other substance use. Kevin Flemen runs the drugs education and training initiative, KFx. 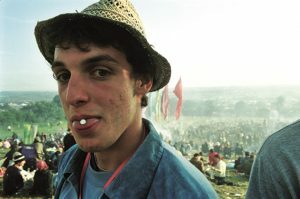 Visit www.kfx.org.uk for free-to-download leaflets on ecstasy – Fest-E (about the wisdom of doing ecstasy for the first time at a festival) and First-E (guidance for first-time users). Both were produced by KFx in 2014 and illustrated by a 17-year-old, in response to growing concern about ecstasy.